The Long-Term Bridge Performance (LTBP) team has selected and evaluated all seven bridges for its pilot study. The bridge sites are located in California, Florida, Minnesota, New Jersey, New York, Utah, and Virginia. The pilot study was designed to validate the testing methods and inspection protocols developed during the first phase of the LTBP Program. It was also designed to investigate various uncertainties about the coordination of the fieldwork, so that collection of high quality data can be ensured while disruptions to traffic flow are minimized. 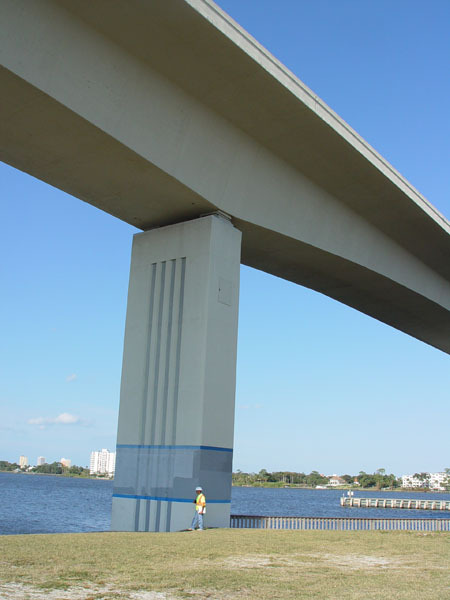 The 10-span, 2320-foot long Seabreeze Bridge in Daytona was selected as the Florida pilot bridge and became the final bridge selected as part of the pilot study. 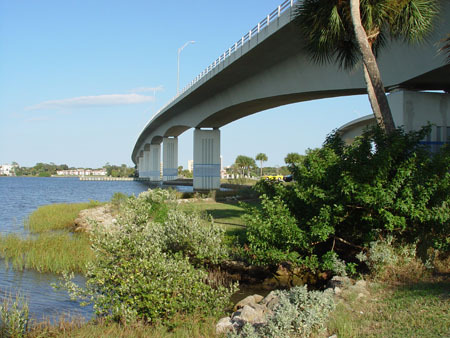 This bridge is a precast segmental, post-tensioned concrete structure carrying Seabreeze Boulevard (Route 430 westbound) over the Halifax River/Intracoastal Waterway. Constructed in 1997, it has a main span of 247 feet. The team conducted the visual inspection, nondestructive evaluation (NDE) survey, and material sampling in February 2011. Load testing of the superstructure and NDE and material sampling of the piers occurred later in 2011. The piers on this bridge are constructed of precast, prestressed concrete elements. The inspection and testing of the pier columns took additional preparation because of the NDE of the piers and material sampling. Figure 2. The Florida pilot bridge carries traffic over the Halifax River (Intracoastal Waterway). The pilot bridges represent both a broad geographic distribution and a cross section of the bridge types, which are the focus of the LTBP program. For example, the Florida selection allowed the team to test a bridge in a marine environment. The ultimate goal of the pilot study phase was to make certain that all of the components needed to achieve the long-term objectives of the LTBP program are specified and understood before starting the long-term nationwide study on a larger sample of the bridge population. This includes validation of the procedures and protocols for inspecting and testing LTBP Program bridges, along with gathering, analyzing, and interpreting the bridge data. 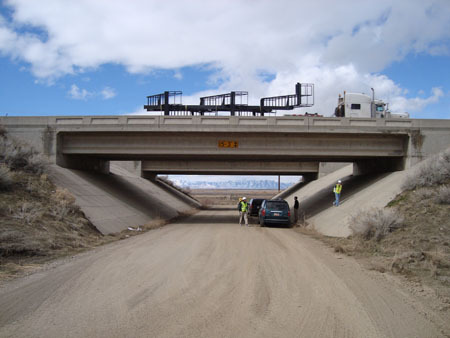 The pilot bridges have been subjected to a comprehensive regimen of analysis, inspection, and testing. 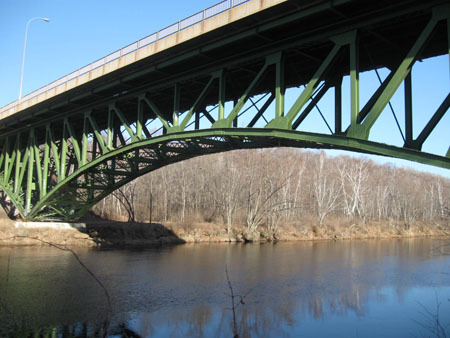 Each bridge was analyzed using finite element modeling and a detailed visual inspection. Live load testing and/or dynamic testing were also done on each bridge to provide a baseline for the structural behavior of the bridges. The deck of each bridge was inspected with several different nondestructive testing methods and cores were taken to help characterize the material qualities of the deck and the type and extent of any deterioration. Currently, the collected data is being evaluated to determine if any adjustments in the LTBP program protocols are needed. The fieldwork for the pilot phase concluded in the fall of 2011. The long-term data collection phase of the program, including detailed inspection of a larger pool of bridges, will begin in early 2013. Written by Firas Ibrahim, team leader of infrastructure management in the Office of Infrastructure Research & Development at Turner-Fairbank Research Center. Figure 9. 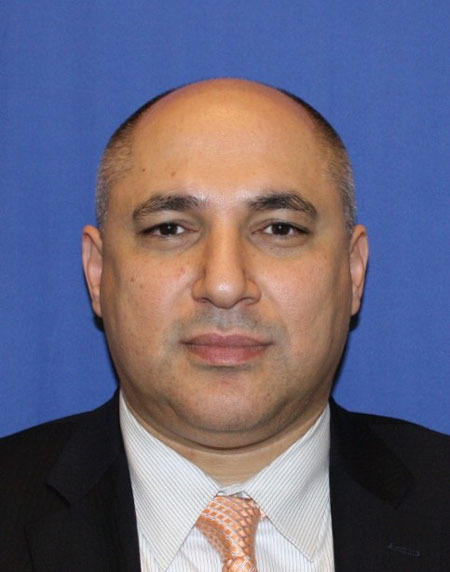 Firas I. Sheikh Ibrahim, Ph.D., P.E. As we are getting ready to pave the way for the next phase of the LTBP Program, we will be utilizing the lessons learned from the pilot phase. Today, visual inspection and simple tools such as hammers and chains are commonly used to inspect bridges and, in particular, bridge decks. In the last two years, LTBP researchers have made significant strides in advancing state-of-the-art sensor technologies to assess and monitor the performance of bridges. Some program accomplishments include the identification, customization, and integration of NDE, as well as structural health monitoring (SHM) tools and protocols to rapidly and reliably assess the condition of bridge decks. To overcome remaining challenges such as cost, speed of data collection, traffic control, and safety issues, we are moving towards the automation of data collection, analysis, and visualization. Automation will assist us in reducing the cost and increasing the number of bridges monitored nationwide. It will also help increase the speed and reliability of data collected, and simplify data interpretation for decision makers. Our vision for automation includes the utilization of a suite of technologies to aid in the early detection of bridge deterioration for more effective management of infrastructure assets. Significant resources are expended annually on the maintenance and repairs of bridge decks. Over the next several years, LTBP researchers will assess the health of our Nation’s bridges and develop a performance index. We believe the LTBP Program will provide bridge owners the information they need to enable them to utilize performance-based approaches to make better investment decisions, resulting in improved program and asset management. The LTBP program aims to better understand the underlying performance issues of bridge structures, an understanding that ultimately will lead to a better way of managing bridge infrastructure by minimizing life-cycle costs and improving current asset management strategies. In order to achieve this goal, large amounts of data are being collected from different sources including legacy data, detailed visual inspection reports, environmental information, and monitoring or instrumentation data. In order to efficiently manage, organize, and utilize this vast amount of data, the LTBP Program has developed the Bridge Portal, an open, scalable, and extensive data management and analysis infrastructure. This data infrastructure integrates LTBP data with other data sets—such as the Federal Highway Administration’s (FHWA) National Bridge Inventory (NBI), the American Association of State Highway and Transportation Officials (AASHTO) Commonly Recognized (CoRe) Structural Elements, weather, and traffic—providing an integrated database for researchers, bridge owners, and other stakeholders. The integrated data infrastructure provides powerful ways for querying and mining the vast amount of information to help better understand deterioration processes and refine life-cycle cost models. As a tool, the Bridge Portal allows users to access and query the data warehouse anytime from anywhere via a state-of-the-art Web-based application enabling a better understanding of both deterioration processes and life-cycle cost models. Users can search for bridge structures based on cross-domain criteria, such as bridge type or age, weather statistics, traffic information, geographic area, and condition ratings from the past 20 years. Advanced visualization tools will provide a map-based user interface and dynamic, graphical representations of query results. Built-in statistical applications will allow users to compare a specific bridge to the average condition ratings of structures of a similar type, age, or location. Half-day workshops of the initial version of the Bridge Portal were conducted with engineers from five State DOTs to date. These workshops included a demonstration of the Bridge Portal’s use and capabilities and allowed researchers an opportunity to gather initial user feedback. The Bridge Portal is being refined and revised based on the input provided. If your State is interested in participating in a test of the updated Beta version of the Bridge Portal, please contact FHWA by sending an email to ltbp@dot.gov. 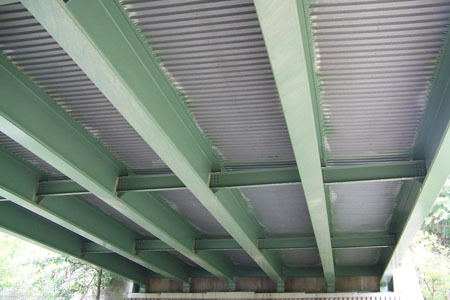 Bridge owners often place overlays on top of existing bridge decks to protect the decks from deleterious agents such as deicing salts. The ability of these overlays to decrease permeability is key to their successful performance. The LTBP program has imbedded sensors in the concrete decks of the Florida, New Jersey, and Utah pilot bridges prior to the placement of overlays to determine the level of moisture reaching the deck slabs through the overlays. The LTBP New Jersey pilot bridge, located in Upper Freehold Township New Jersey, was scheduled by the New Jersey Department of Transportation (NJDOT) to have an asphalt overlay installed over the bridge during the resurfacing of I-195. This gave LTBP program researchers their first opportunity to implement the moisture sensors. In August 2010, prior to installation of the overlay, an array of 20 sensors were placed in the pilot bridge to detect the moisture level. The sensors were placed in both the shoulder and right travel lane, including the wheel paths. This gave LTBP Program researchers an opportunity to study the effectiveness of the overlay as well as to evaluate the performance of the moisture sensor. With a state average of more than 45 inches (114 cm) of precipitation annually, New Jersey’s decks take a beating, particularly during the winter months. Like the pilot bridge, many bridge decks across the Nation are exposed to frequent freeze-thaw cycles and deicing agents, critical environmental factors that affect the deterioration process. Cracks in concrete bridge decks provide easy access for water and deicing chemicals, which can then lead to higher concentrations of chlorides, corrosion of reinforcing steel, and possible damage to the concrete. The moisture sensors can detect the moisture level in the deck at the depth at which they are placed. The wireless sensors are 2 inches in diameter and 0.25 inches thick, and function in temperatures from 67° to 257° F (55° to 125° C). The sensors were installed at depths in the deck ranging from 0.25 to 1.5 inches (6 to 38 mm) from the top of the original concrete surface. LTBP researchers plan to monitor the moisture sensors and track the New Jersey pilot bridge deck. Baseline readings were taken following sensor installation, and it is anticipated that periodic readings will continue to be taken at approximately 3-4 month intervals for several years. As more moisture content data is gathered and the condition of the deck is assessed, the team will be able to draw conclusions on the performance of the overlay. Figure 11. Hydrotracker used on NJ pilot study bridge. Site visits conducted in March 2009 on the program’s first pilot study bridge revealed early signs of deterioration on the deck, making it a prime candidate for evaluation. The initial selection process for the Northern Virginia bridge was very detailed and considered many different criteria related to bridge construction, traffic patterns, and accessibility. In 2011, the field team returned to the bridge to showcase the innovative technology that’s being used on the pilot bridge, and to wrap up pilot testing. 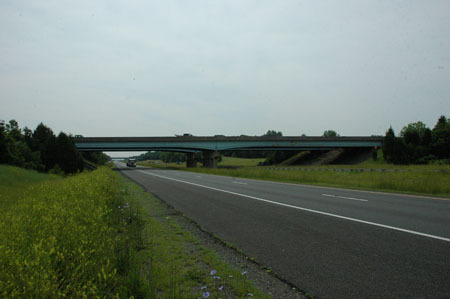 The bridge, located on U.S. Route 15 and Interstate 66 (I-66), is a two-span continuous built-up steel girder bridge with a cast-in place concrete deck. Constructed in 1979, the bridge has an annual average daily traffic (AADT) total of approximately 16,500. Six percent of the AADT is comprised of truck traffic. The high AADT total and the age of the structure specifically appealed to the research team because the bridge already showed signs of deck and superstructure degradation from repetitive traffic loading and environmental conditions. Over the last three years, the LTBP researchers have identified and utilized advanced technologies to ensure accurate condition assessment and performance monitoring on the pilot study bridge decks. Adequate instrumentation on each bridge is necessary to ensure that the project collects and provides information and data that is relevant to long-term bridge performance. Dr. Nenad Gucunski, a civil engineering professor at Rutgers’ Center for Advanced Infrastructure and Transportation (CAIT), believes that NDE using multiple technologies is needed to address the complex nature of deterioration in concrete bridge decks. “Due to the composite material nature of concrete and presence of a whole suite of deterioration processes and defects, a diverse set of NDE technologies is required for their assessment,” says Gucunski. 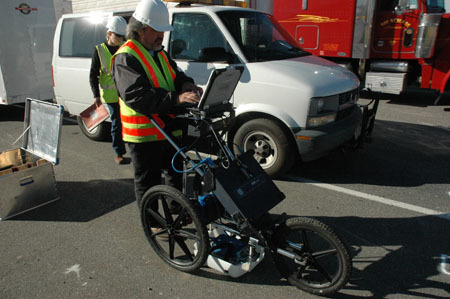 To overcome limitations of individual technologies, Gucunski’s team conducted a complementary approach using several NDE technologies on the Virginia test bridge, namely impact echo, ultrasonic echo, ultrasonic surface waves, ground penetrating radar, half-cell potential, and electrical resistivity. Through the use of these technologies, the LTBP Program team will identify practical and economically viable means for concrete bridge deck assessment. LTBP researchers are busy developing data analysis and visualization protocols for the Virginia pilot bridge. The efforts of Virginia Department of Transportation personnel are gratefully acknowledged for their work on the Virginia pilot bridge. Written by Malcolm (Mal) Thomas Kerley, P.E., chief engineer at the Virginia Department of Transportation. Mal is also Chairman of the AASHTO Subcommittee on Bridges and Structures. Figure 12. Malcolm (Mal) Thomas Kerley, P.E. What causes bridges to deteriorate? What factors impact the functionality and serviceability of a structure? What activities can be undertaken to prevent or mitigate the problems? How do we determine the optimal type and timing of interventions, their cost-effectiveness, and their contribution to extending the serviceable life of a bridge? These are all questions to be directly addressed by the LTBP Program. The answers will help the Virginia Department of Transportation (VDOT), and bridge managers everywhere. 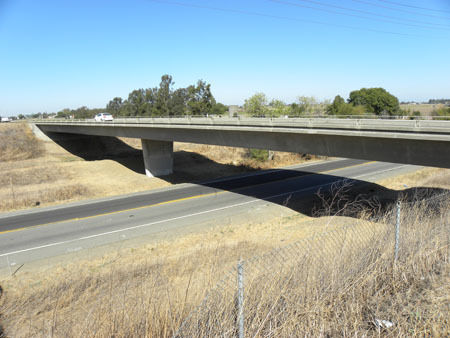 LTBP is meant to bring an overarching and visionary approach to addressing a large inter-related set of challenges in maintaining and managing highway bridges. Such a program, which is national in scope, has the potential to identify common problems faced by all transportation agencies on highway structures. VDOT Chief Engineer Mal Kerley recognizes how beneficial the program will be for the future of our nation’s transportation system. VDOT’s Research Division, the Virginia Center for Transportation Innovation & Research (VCTIR), is one of the many partners involved in the LTBP Program; VDOT staff has been very active in the program from the beginning. 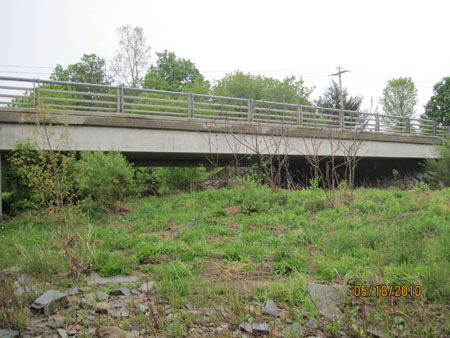 Prior to fieldwork on one of the program’s pilot structures, located on U.S. Route 15 over Interstate 66 in Haymarket, VA, the LTBP team met with VDOT bridge engineers to discern the interests and needs of the Agency. The LTBP team worked closely with representatives of VDOT’s Northern Virginia District to identify a suitable structure for study, and then arranged the necessary logistics to safely and efficiently undertake the field inspection, testing, and long-term instrumentation activities on the selected structure. VDOT staff has been involved in aspects of traffic control and access to the structure, operations to perform load testing and dynamic testing; review of site layout for communications, power and instrumentation deployment; and updates on the progress of operations. Highway managers conduct their bridge programs by ensuring that any given bridge continues to perform its primary function to support the transport of people and goods in a safe and economical fashion. Kerley says the first priority is always public safety. “The next priority is mobility, ensuring that the traveling public can efficiently move goods and people over our public highways,” he says. Ultimately, the goal of the entire program is to provide more technically sound tools and knowledge to be used by AASHTO and other stakeholders to manage their respective inventories. Technology can be exploited to arm bridge managers with better information and better solutions, and this program provides a means to develop such tools. 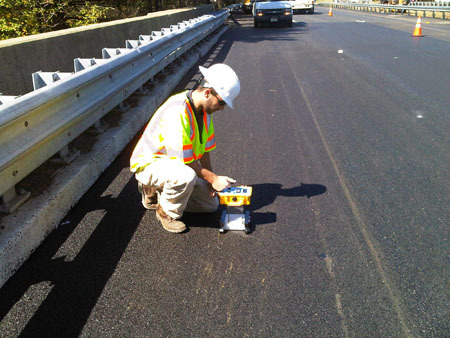 Technical Brief: Data Gaps—State DOTs gather important and needed bridge inspection data. Is there other data that could help quantify bridge performance? Susan (Sue) Lane recently joined FHWA as the Development and Outreach Engineer of the LTBP Program. Prior to her current role, Sue was the transportation structures manager for the Portland Cement Association (PCA) where she was responsible for a wide variety of activities aimed at sound concrete bridge engineering practice across the Nation. 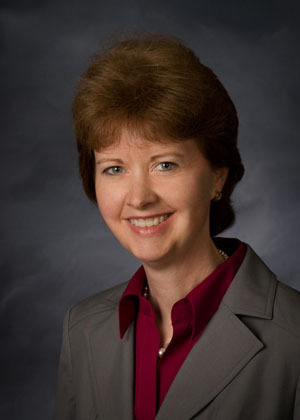 Prior to her position with PCA, Sue was a codes and standards manager at the American Society of Civil Engineers (ASCE), a financial engineer for Fannie Mae, and a leader for the High Performance Bridge Materials Team at the Turner-Fairbank Highway Research Center. She has also authored or co-authored over 25 technical papers and reports. Ms. Lane currently serves on the TRB AFF30 Concrete Bridges Committee, the Bridge Preservation Expert Task Group, the PCI Bridge Committee, the PCI Research and Development Committee, the Joint ACI-ASCE Committee 343—Concrete Bridge Design, the Joint ACI-ASCE Committee 423—Prestressed Concrete, and ACI Committee 239—Ultra-High Performance Concrete. She also previously served as the Chair of the National Concrete Bridge Council. She received her M.S. and B.S. in civil engineering from Pennsylvania State University. She is a registered professional engineer in Virginia. 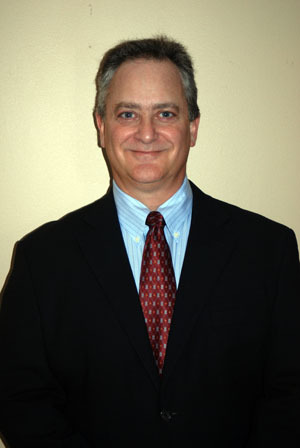 Dr. Robert (Rob) Zobel recently joined FHWA as a Development and Technical Engineer for the LTBP Program. His background is quite extensive, ranging from engineering marketing and technical development for both regional and national organizations, to private structural engineering consulting, as well as structural research both in the academic and professional engineering arenas. 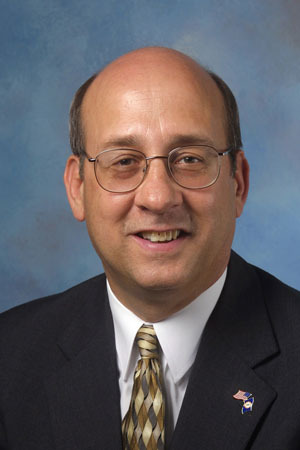 Most recently, as a contract researcher at the Turner-Fairbank Highway Research Center, he was responsible for performing structural steel bridge research including complex structural load testing of steel gusset plate connections. Dr. Zobel’s technical expertise in both NDE technologies and bridge engineering will be an asset to the ongoing efforts of the LTBP Program. He holds both a B.S. and M.E. in civil engineering from University of Florida, as well as a doctoral degree in civil engineering from University of Texas at Austin.